This week we are celebrating CBDVapeJuice’s back-to-school promotion, with 20% discount on a selection of leading CBD products. We have some true winners for you to buy! With so many leading CBD products to choose from, it is important not to waste your money on the wrong ones. Your first question should be, which delivery system do you need: tinctures, vapes, softgels, edibles, balm, isolates, etc. Then, look for a product that made an extra mile in making their product perfect and look deep into the ingredients they have used. The packaging is also important, since a company that is so broke, they couldn’t afford a reasonable package, might have saved on quality or safety to. The last step is to look at the product reviews, always worth your effort. Luckily for you, we have made your life easier and prepare you a Must-Have list of leading CBD products, now on sale. In this article we will take a look at HempLucid, KOI, Genesis and Select. There is something in the way Hemplucid present their leading CBD products that says quality. The smart products they choose along the advance delivery system might make the difference between a good product and a great one. We are very interested to see what will be their next product. When using water soluble CBD you can expect it to have a higher potency and a much faster onset of action, compare to CBD oil, edibles or softgels. Unlike CBD oil, water soluble CBD is water-compatible so it can be easily mixed into beverages at essentially any desired concentration. It has a natural to sweet taste, which is perfect for the preparation of summer cold drinks. With only 5-10 drops twice a day, you can experience the benefits from Hemplucid MCT oil. Armed with great product reviews, this whole-plant MCT CBD oil, is rapidly becoming a popular choice among those who prefer a ‘cleaner’ alternative to the regular CBD oil. 100% Pure CBD Oil blended with Lavender essential oil and coconut oil for release at the end of a stress-filled day or grounding to help you start a new one. Beautifully designed 500mg vape pens, made from 100% Pure CBD Oil blended with plant extracts, to help you reconnect, revive, relax, focus or regain energy. Choose from: Lavender (Relax), Grapefruit (Revive), Spearmint (Focus), Cinnamon (Relax), Peppermint (Focus) or Lemon (Revive). Since Genesis is the home brand of CBDVapeJuice, I am expecting it to be more than just affordable. I expect them to invest a little bit more in design, since it still lack some clear identity and uniqueness. But then again, people love it, so you should also try. With 2000mg in a giant 30ML bottle, CBD Genesis E-Liquid will keep you covered a whole month long. CBD Genesis contains no PG, therefor it can be vaped by itself, added to any e-liquid, or even taken sublingual. 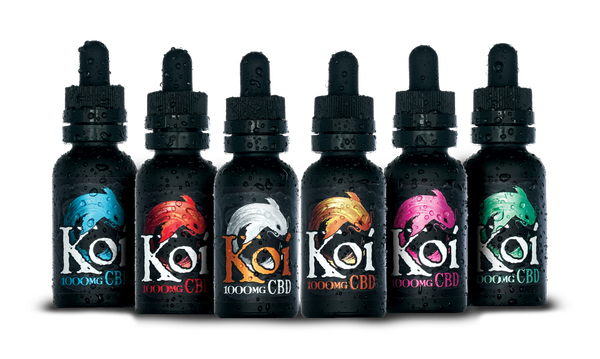 Koi make CBD E-Liquids people love to use… Leading CBD products are above all, popular ones. Simple as that.